Nothing is more serious than being accused of taking another’s life. Arizona law enforcement and state prosecutors will pursue such matters with the utmost vigour. 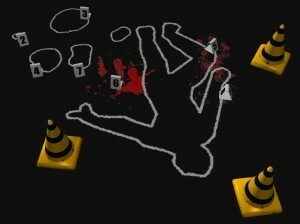 Cases involving homicide require great attention to detail and legal planning. It is crucial that you hire an attorney who will treat your case with the attention it deserves. Phoenix criminal defense lawyer Bretton Barber devotes his practice to protecting the rights of the accused and fights to protect clients facing non-capital charges. Contact our office today to schedule an initial consultation on behalf of yourself or a loved one. Arizona has several tiers of charges related to the death of another; the punishment for each of these tiers depends on the intent of the responsible party. The lowest level of death-related cases is manslaughter negligent homicide. This offense occurs when a tragedy was the result of a person acting unlawfully, but unaware of any immediate risk of death-for example, if someone under the influence gets into an accident and the other driver dies. The sentence for negligent homicide ranges from 4-8 years in prison. Additional time may be added if the person has been convicted of prior felonies. Again, this is only the lowest level of death-related charges one may be facing in our state. Second degree murder carries a minimum sentence of ten years in state prison. One facing charges for any crime involving the death of another should seek legal counsel immediately. Bretton aggressively defends the rights of the accused in such serious matters. He will use your initial consultation to gain your perspective as to what happened. After obtaining the arrest report, and other immediately available evidence, he will work with investigators and visit the scene of the incident to gain a broader understanding of the case. Bretton will also work quickly to file pretrial motions for the suppression of statements and other evidence which may be harmful. He will ensure that the accused is prepared for trial and that they know what to expect. This is a serious charge and one needs a criminal defense lawyer who will take it seriously. We represent defendants in the Phoenix area as well as in other Maricopa County cities such as Mesa, Glendale, Scottsdale, Chandler, and Gilbert. We also assist Pima County residents in Tucson. Contact our attorney today. One of the most common complaints against attorneys are that they fail to stay in contact with their clients. Bretton started the Barber Law Group, in part, to ensure that Phoenix area residents can know that their lawyer will keep them up to date during each step of a serious case. Bretton regularly gives clients his cell phone number and often makes himself available outside of normal business hours so that questions may be answered. He understands that you and your loved ones are facing a difficult situation and he will give that situation the attention it deserves. We are ready to assist you. The Barber Law Group is a Phoenix, Arizona criminal defense firm dedicated to protecting the rights of the accused. We recognize the potential impact that criminal charges can have on one's life. Our goal is to guide you through the process and to help you reach the best resolution possible. Our attorney will stay in regular contact with you throughout the process and will aggressively protect your interests. Contact us today for an initial consultation.